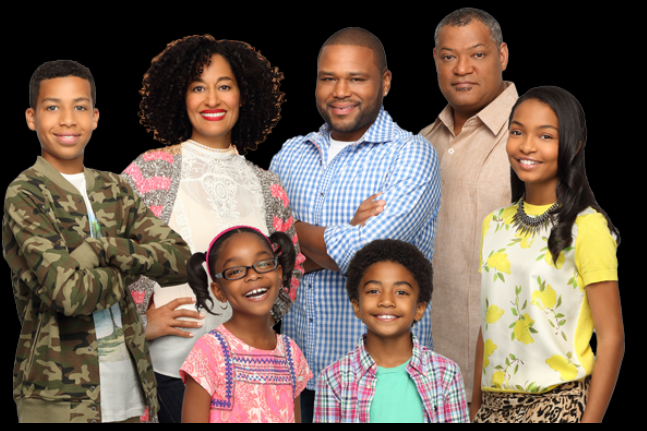 Top 7 Reasons I Like Black-ish | sondai living: Spirit. Art. Style. I have stayed out of the fray of conversations about the new tv sitcom Black-ish until I was able to actually see it. Well I have seen it and I like it. First of all the “ish”… is my favorite part. Allow me to analyze/hypothesize, to help you realize how clever the title is. With the bastardizing and the abbreviating of the English language this play on what could mean “kinda” versus the new spelling of sugar honey iced tea, is just clever. Think about it. Signifying is a major aspect of the culture of the African American community. As is coded language also. It is recognized in the community to personify one thing however, someone not so well versed the the historical context of this or the understanding of such cultural nuisances would categorize it at face value. For example, made popular in the 90’s the word “dope”. If someone says “Those greens were dope.” It has nothing to do with drugs. It is a coded language not on purpose but by default. So let me delve into the reasons why I like this show. 1. It is an actual sitcom with black people. What a relief to have a sitcom on television that has a plot, characters that you can relate to, and everyone has their clothes on. There are no ratchet reality stars “bringing down the race.” Someone wrote this and thought about it. It is not sensationalized nor does it have the drama or cat-yness of “reality” shows. 2. There are no punches pulled. This show is not politically correct. Dre played by Anthony Anderson, works to maintain culture with his kids despite being more affluent than his upbringing. The notion that a family with values is being portrayed on the screen warms the cockles of my heart. To this I say finally. Not since the days of Cosby and A Different world has this been a fixture on a major network. 3. It is driven by pride and not fad. The show does not have to tear down other races to be pro-black. In fact the cultural diversity on the show enhances the statement of pride. 4. It is Chris Rock funny-but-a-damn-shame type humor. While Chris Rock has gotten flack for his comments on SNL his brand of humor has always been able to allow laughing at the flaws of society. The absurd. He has proven that with his more recent foray in the media. Black-ish is so inherently simple you must laught. That is how I see Black-ish. You either shake your head and laugh or say “damn that is true”. 5. For our Caucasian brothers and sisters: It is a great way to get a translator for your black friend’s inside jokes. Now this does not mean that you can be a part of the joke, say the joke, or will ever completely understand the joke. However, your frame of reference will be broader that it once was. 6. Gauge your level of bourgeois vs. the common everyday black person. Now this may shake it up a bit. I am sure you are saying “I am not bourgeois.” But think about it if you have gone outside of the country… ever eaten goat cheese with lavender and honey… or talked about traveling to the vineyards…. eh maybe a bit of bourgeois lives in you. But before you attack this post… I do realize that African Americans did/do these things all of the time. We are not a monolithic culture. But Twana an ’em ain’t getting down like this. 7. Which brings me to the fact that this is another facet of life most African Americans do not see. Ever wonder what keeping up with the Joneses looks like when the Joneses can’t even touch you? That is Black-ish. Part of why I love it is the fact that the show struggles to figure out what level of cultural inclusion is the right balance for their family. How would you approach the topic of rites of passage with your children in a neighborhood that is more Americana than Americana but is safe for your kids to not worry about harm. It reminds me of the headline in the news recently about the brother shielding his kids by teaching them to speak and wear certain things in order to avoid harm from the police or disdain from their white counterparts. It is a complete set up and disservice for his kids not to understand the way this society works nor to understand who they are as people in this world. Black-ish is working on that balance of making sure that their family exhibits pride and confidence in cultural heritage and what it means to be responsible people in a society that is not always accepting or responsible or fair or honest. It is not perfect by any means. It challenges and provokes conversation. I mean hell weren’t folks talking about it… eventhough they had never even watched it? Oh and by the way… yeah to critique/criticize you do have to examine, otherwise… your just talking… ish. This entry was posted in Culture, Rantin&Ravin, Television and tagged Anthony Anderson, black sitcom, Black-ish, bourgeois, Lawrence Fishburn, sitcom, Tracey Ellis Ross by kimberly c. gaines. Bookmark the permalink.